Owned and operated by 30-year game player and programmer and idiot savant, Derek DiBenedetto. 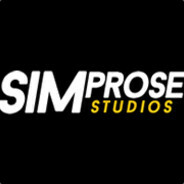 We've been making high-quality, original strategy, RPG and simulation games for the PC and Mac since 2014. A young girl, abandoned as an infant, goes on a search for her parents and identity in a dark fantasy world populated with foul beasts and nasty cuthroats. Life's Playground is the board game with a unique blend of familiar mechanics from Monopoly, Life, PayDay, combined together with a flavor all its own! A war that has lasted over 100 years is coming to an end. Guide 2 soldiers on their mission to end the long conflict and escape with their lives. Includes hundreds of items, over 20 quests to complete and professional writing and voice acting. Ever dreamed of owning and managing your own car racing team? Redline Ultimate Racing allows you to make your dreams come true! Take control of either a randomly generated racing universe or load your own custom-created universe into the game. You play a deer, tasked by your clan leader with a most urgent mission: Find and sabotage the plans of a local human settlement, intent on destroying your homeland. Your journey will be long, through dangerous jungles and facing many natural predators. Will you save your home? Catacombs 1: Demon War is the first of a 3-chapter RPG/Adventure that puts you into the shoes of a brave young hero, building your strength to face long-buried secrets, deception and betrayal. Star Merchant is a galactic trading sim where you become a space entrepreneur. Buy and sell items, fight pirates, upgrade your ship and try to meet your goal without going broke! Fantasy Kingdom Simulator transports you into a medieval realm where you reign as King of four villages, and your duty is to help them grow and blossom into fully developed cities. You'll be making meaningful choices, important decisions and face the consequences if you plan poorly. Enter a world of blood, influence and secrets in this easy to learn, yet deep strategy sim where you control a group of Gladiators, guiding them through combat and competition. Bribe, gamble and slash your way to an arena championship! Redemption: Eternal Quest is a casual RPG/Sim game which combines the feel of an RPG with roster management sim mechanics. You become the leader of a band of adventurers, guiding them through quests, watching them grow and signing them to pacts while keeping your gold pouch filled.